Steve moved to the Glens Falls area in 1947 and has been a full time resident of the Town of Queensbury since 1964. His family owned and operated a commercial laundry and linen supply company and Steve became the vice president of that firm in 1963, immediately following his graduation from SUNY at Albany. He received his B.S. in Business Administration/Marketing, and later added his M.S. in the same subject area. When the family business was sold in 1964, he remained with the new company for about a year on a part-time basis, and also accepted the position of Director of Marketing for the advertising company that had exclusive rights to operate information centers on the NYS Thruway. In 1966, Steve began his teaching career at Adirondack Community College [now SUNY Adirondack]. He retired from Adirondack in 2001 as Professor of Business Emeritus, having served for two years as Chairman of the Business Division. Steve took a leave of absence from Adirondack for one year during which he was an Associate Professor of Business at Skidmore College, filling a one year vacancy. Steve’s love of the fire service and teaching experience prepared him for the part-time position of Coordinator of Fire Service Administration Programs at Empire State College from 1980 until 1986 [responsible for the northeastern United States and the eastern provinces of Canada]. 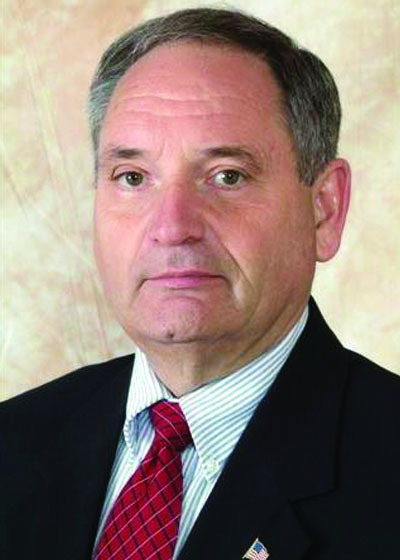 Another leave from teaching took place from 1988 through 1991 while Steve served as Supervisor of the Town of Queensbury and a member of the Warren County Board of Supervisors for four years. Following retirement from Adirondack, Steve served as the Executive Director of the Regional Emergency Medical Service Council for the 6,000 square mile area that included Warren, Washington, Essex, Clinton and Franklin Counties. He was responsible for coordinating the EMS operation of 98 rescue/ambulance agencies with regional hospitals and air ambulance services, as well as coordinating the education and training of over 1000 EMS personnel. This work was done in cooperation with the NYS Department of Health.